Open the gift card program. 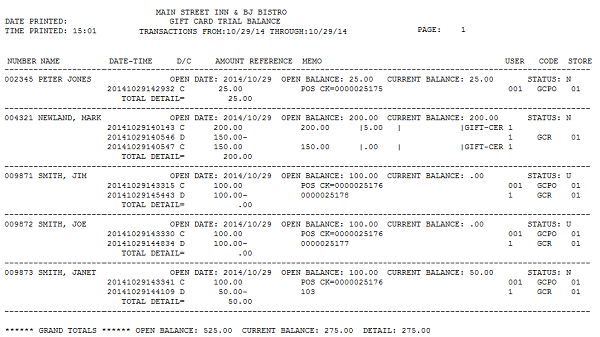 At the top left screen see "Reporting." 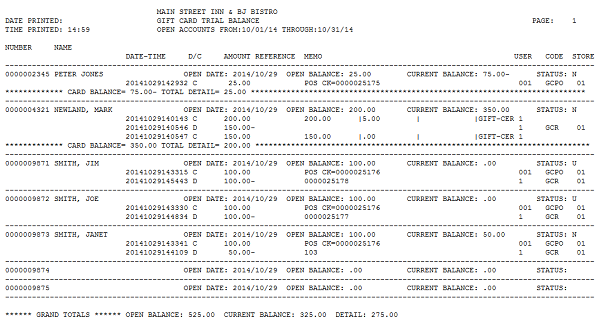 Select Gift Card Trial Balance or Other Reports. 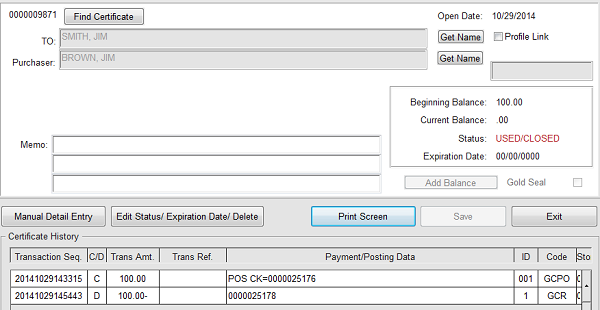 The Gift Card Trial Balance can print accounts opened within a date range or all transaction within a date range. 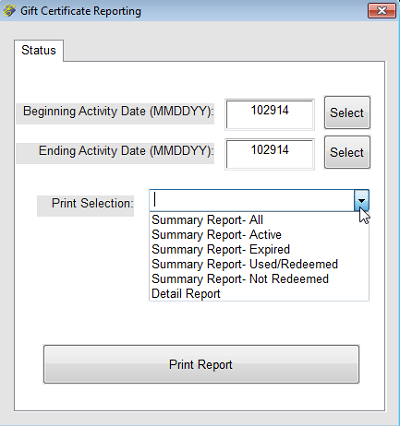 Other Reports include several summary reports and a detail report and can be printed by date range. You also can bring up a gift card/certificate to view the detail and then select "Print Screen" to capture the screen and send it to a printer.